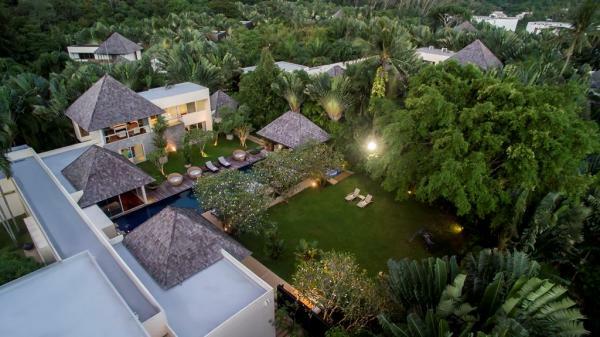 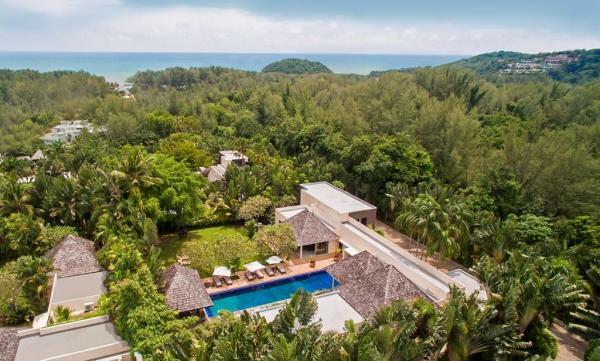 As you can this in the video presentation of the villa at the end of this article, this is an unique property, offering volume and privacy in the secured enclave of Layan, nearby Bang Tao on the west coast of the island. 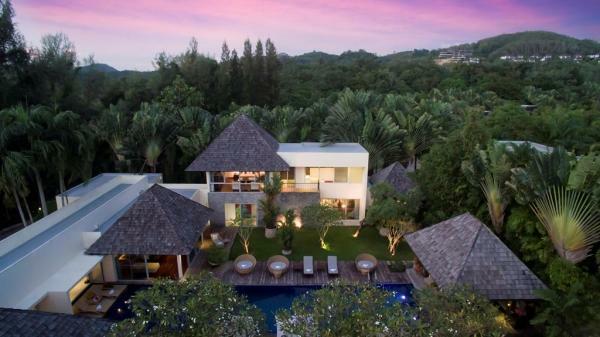 This house in Phuket (but can we still call it a house?) overlooks an amazing tropical landscape. It provides an amazing venue for parties, weddings or special events. 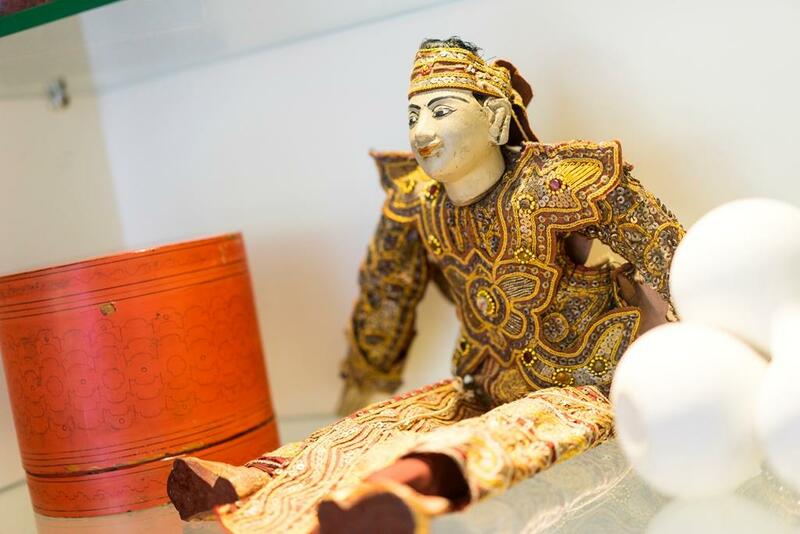 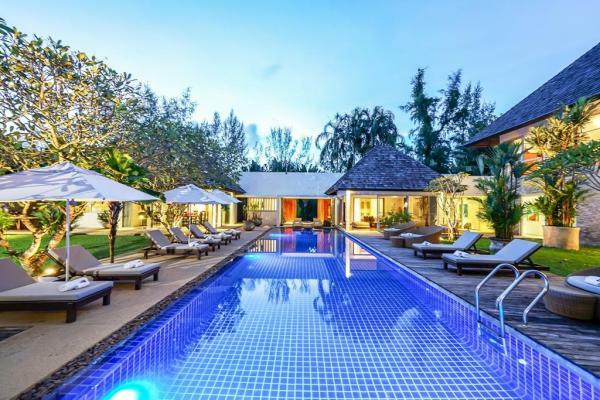 Located in a peaceful location, this is an enclave from Phuket tourism, however it is easy to reach Phuket’s greatest places : restaurants, bars, marinas, golfs and shops. 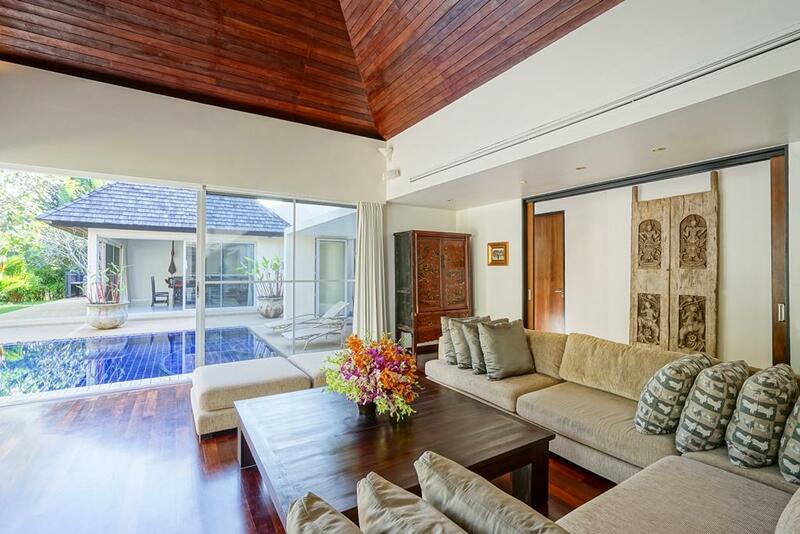 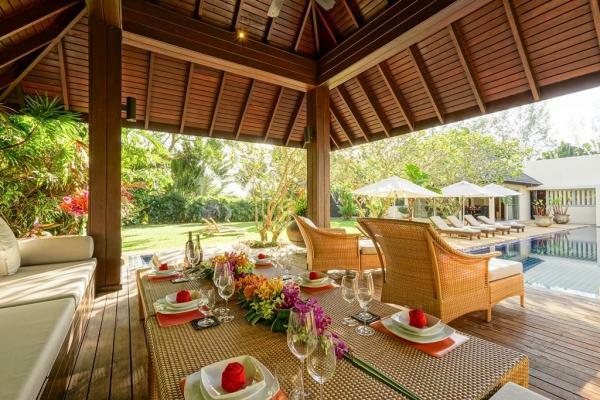 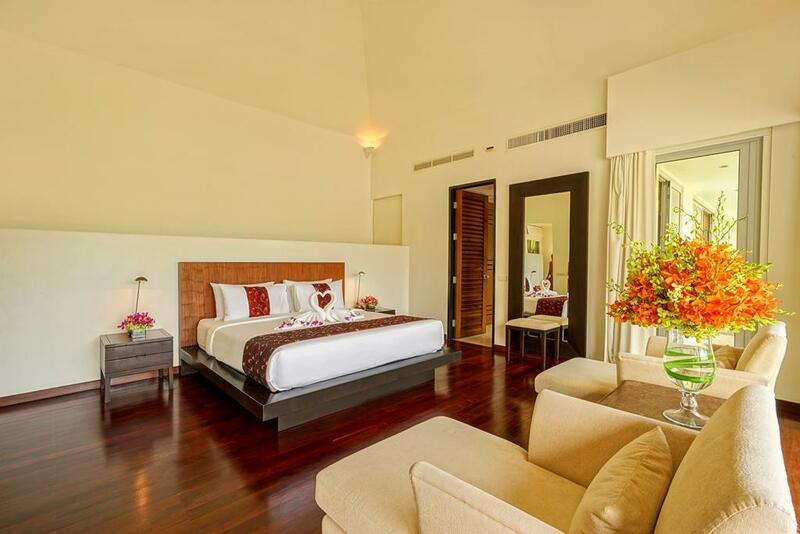 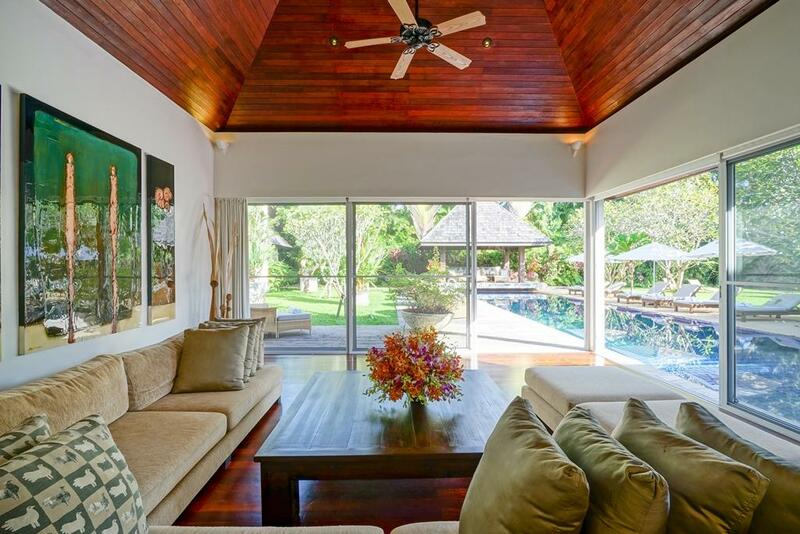 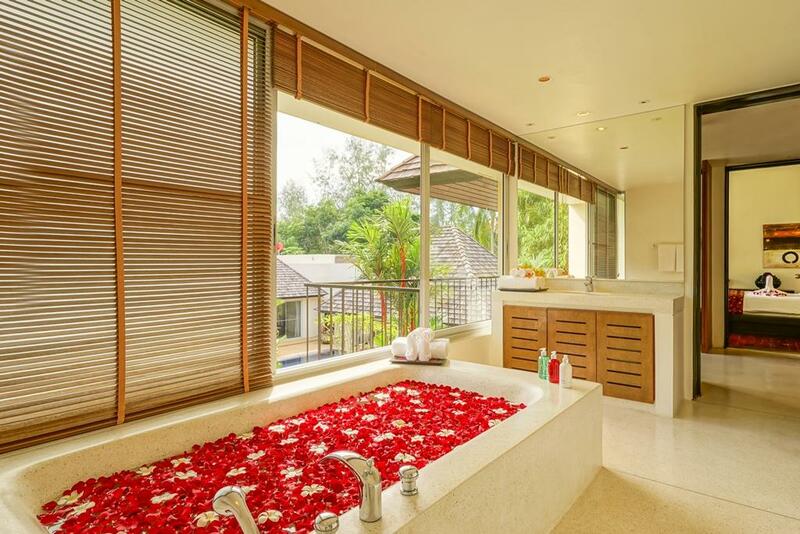 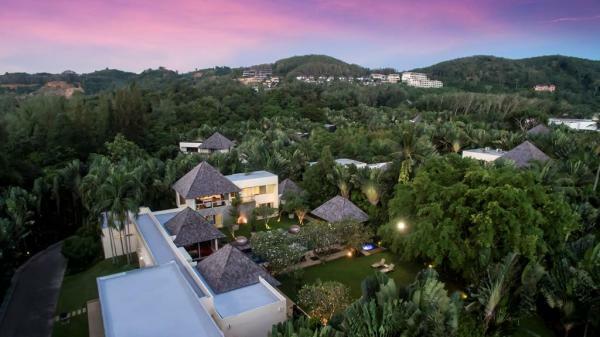 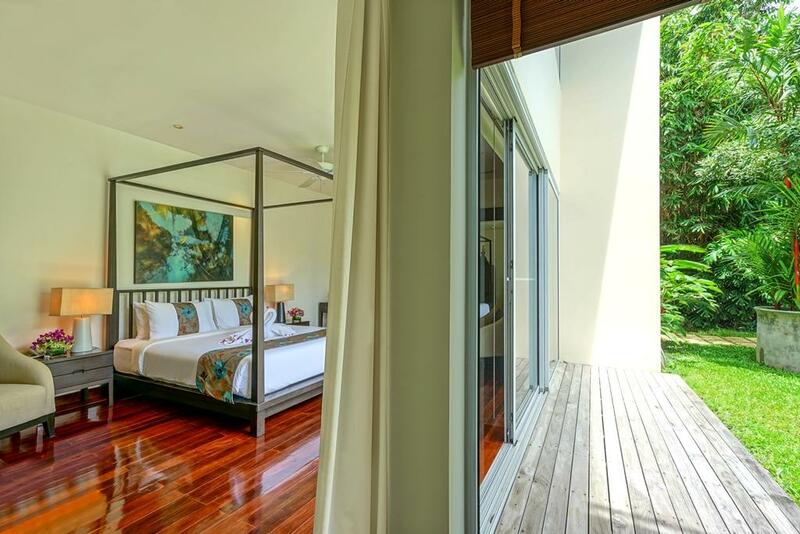 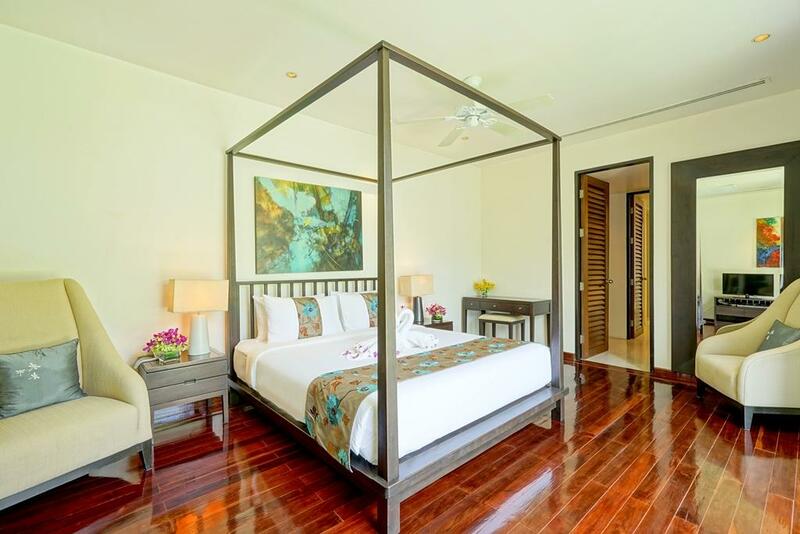 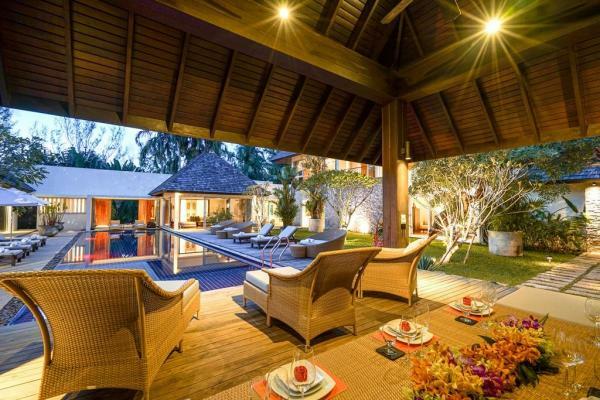 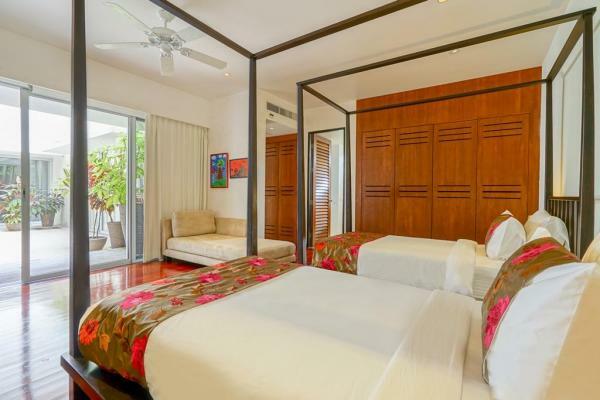 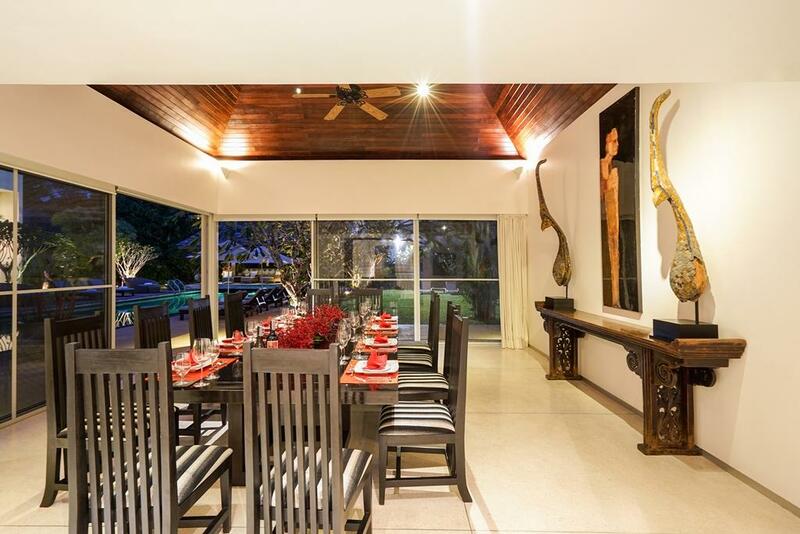 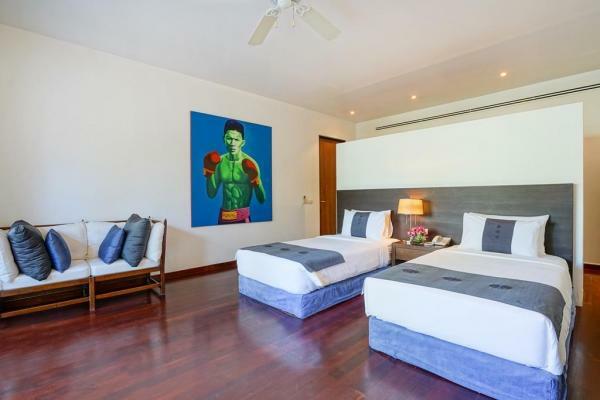 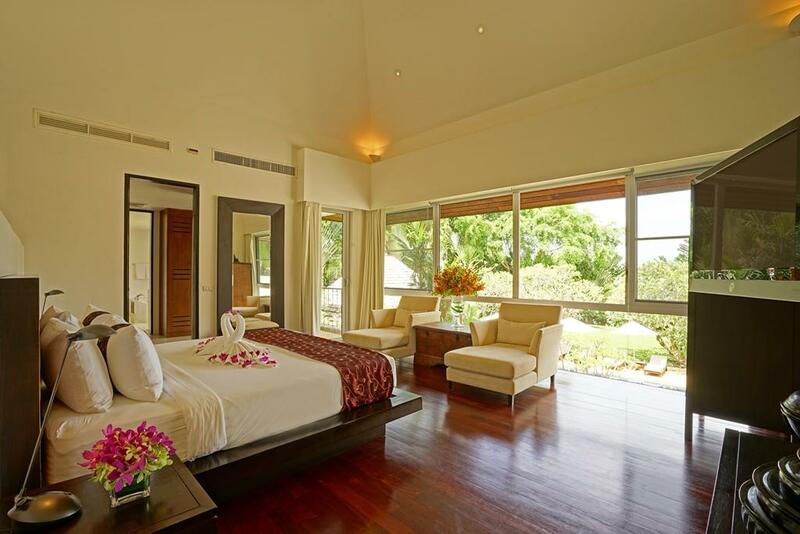 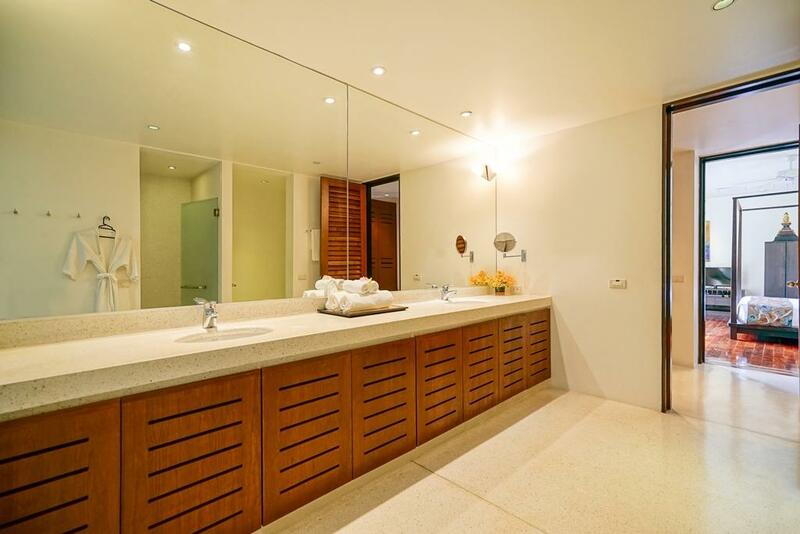 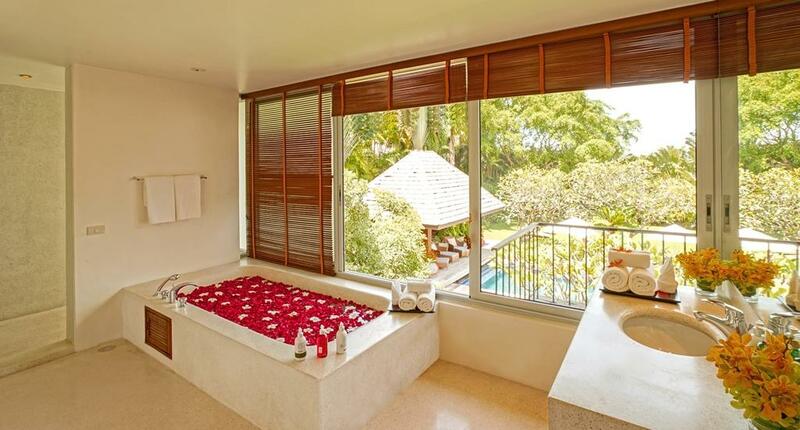 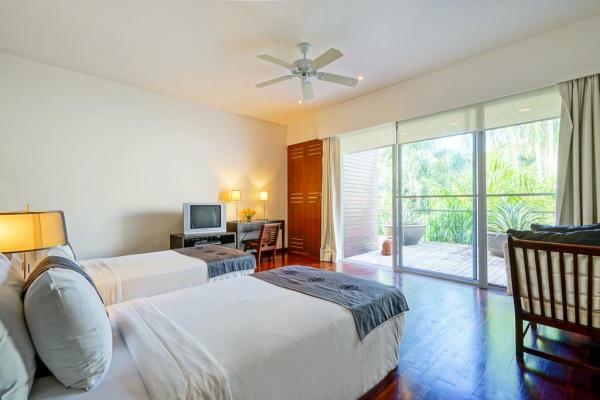 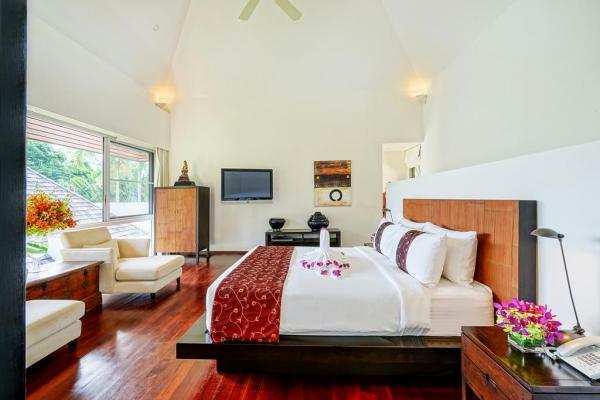 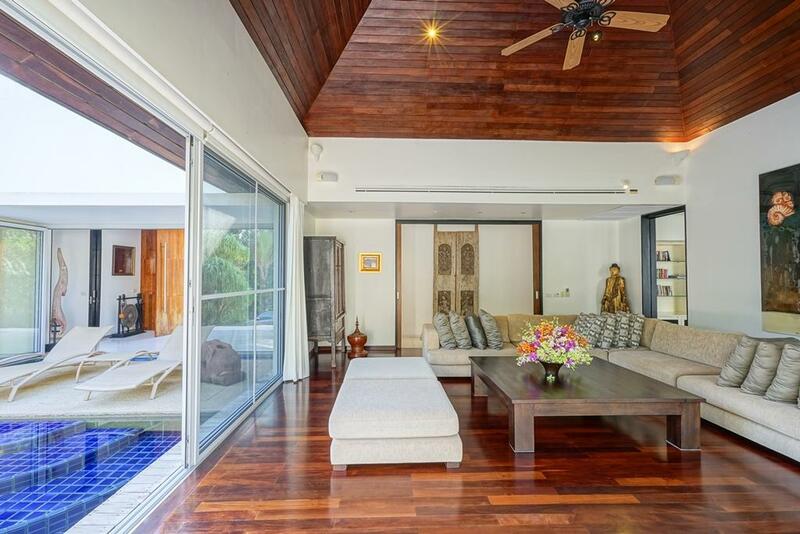 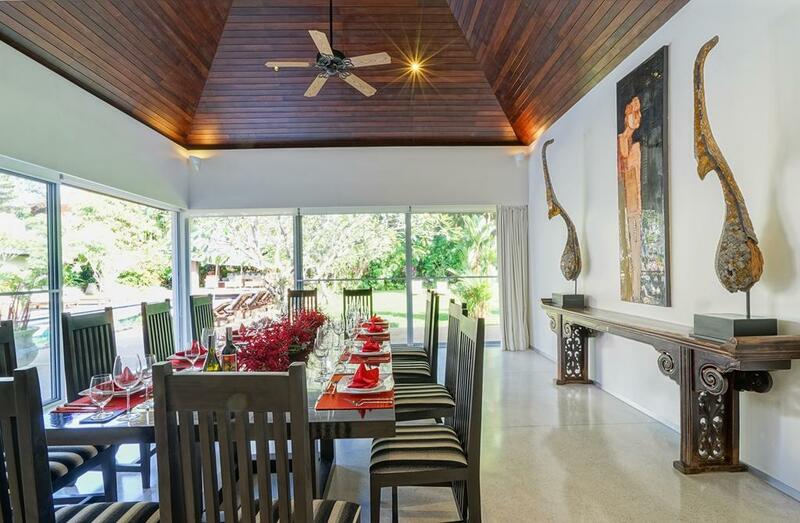 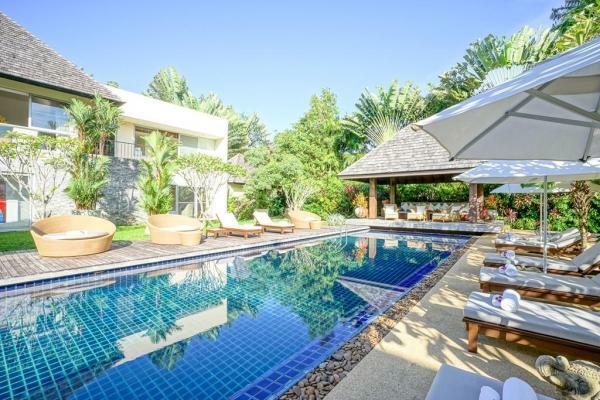 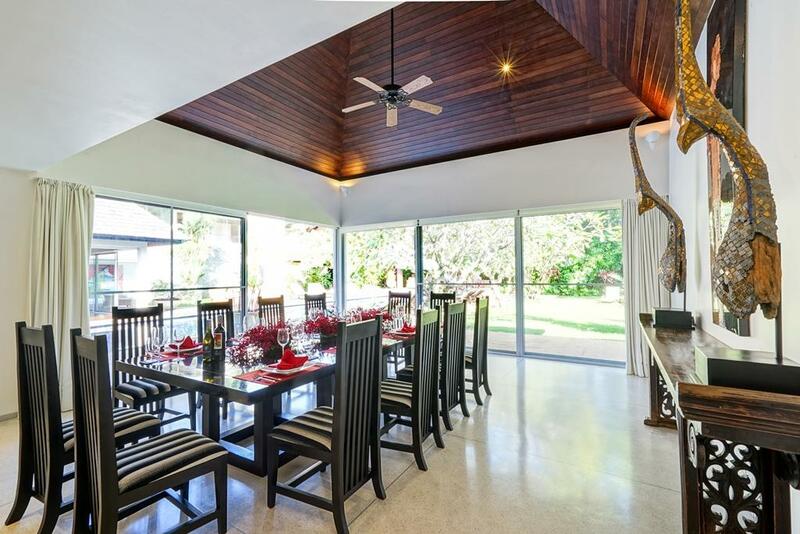 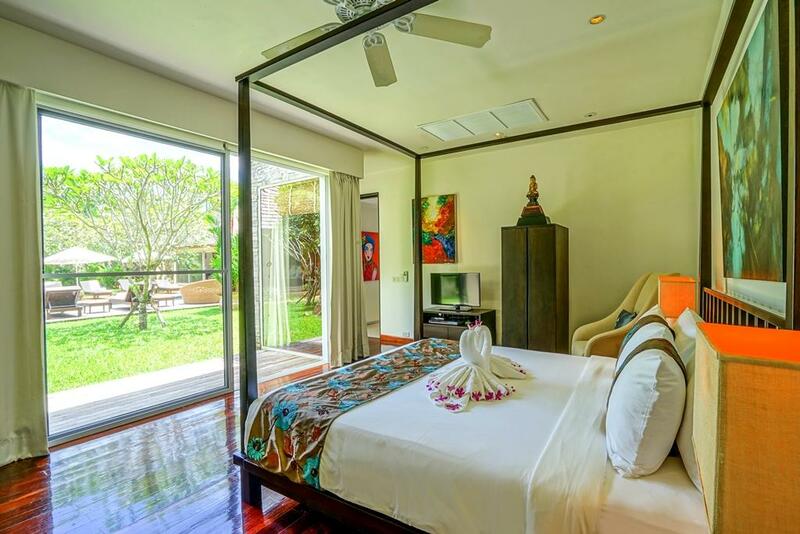 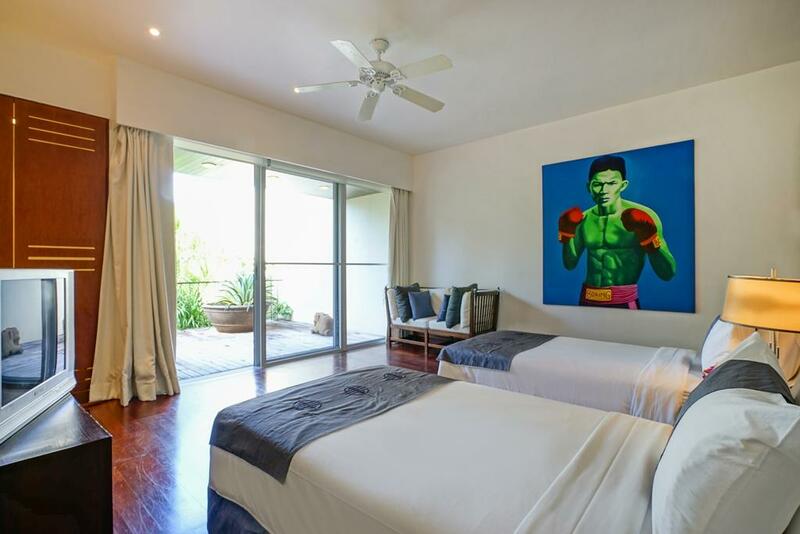 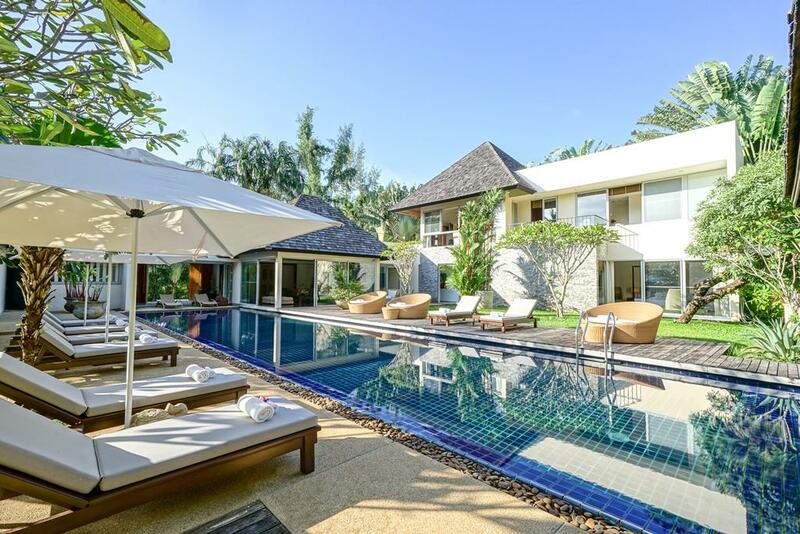 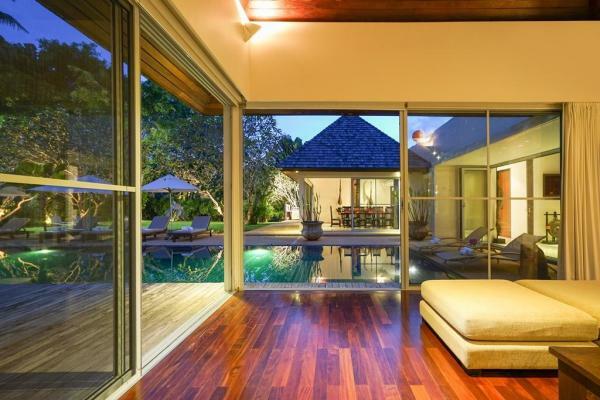 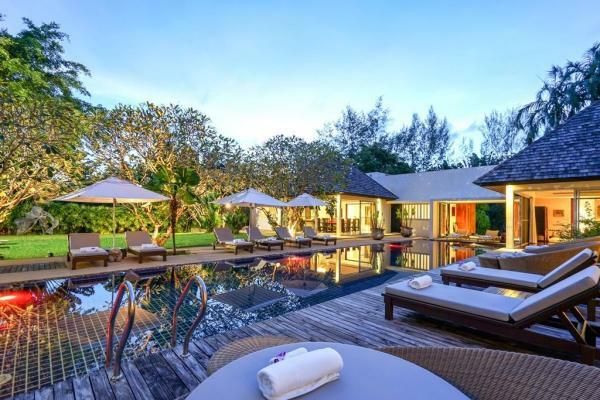 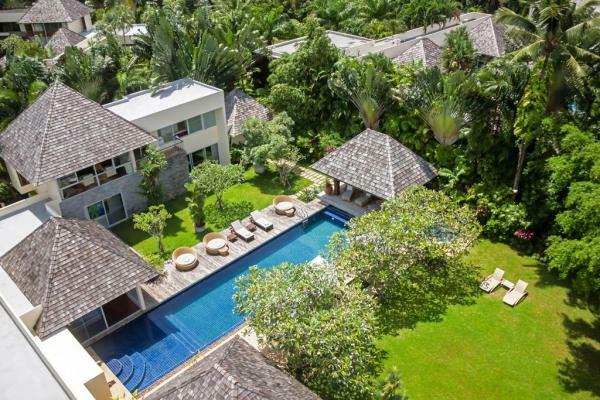 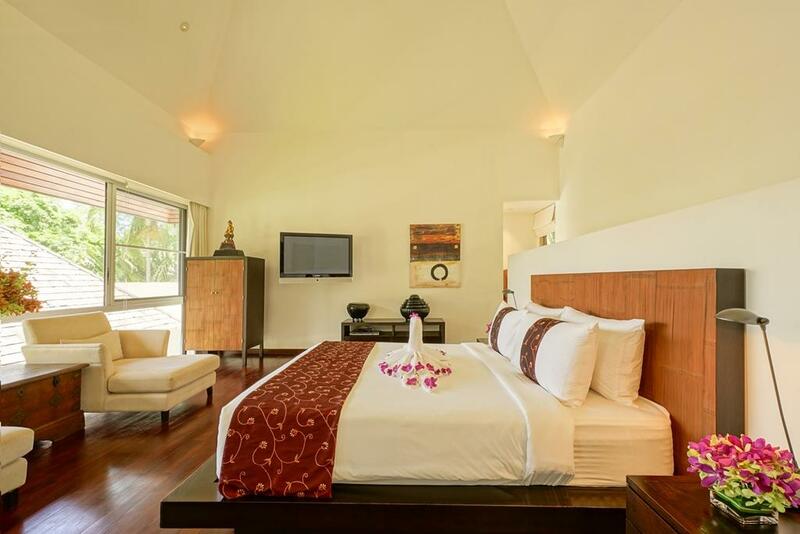 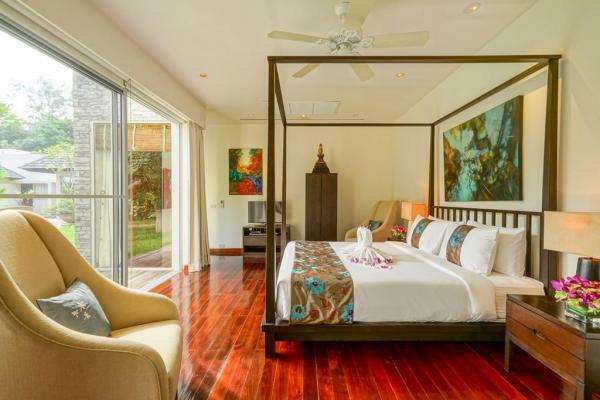 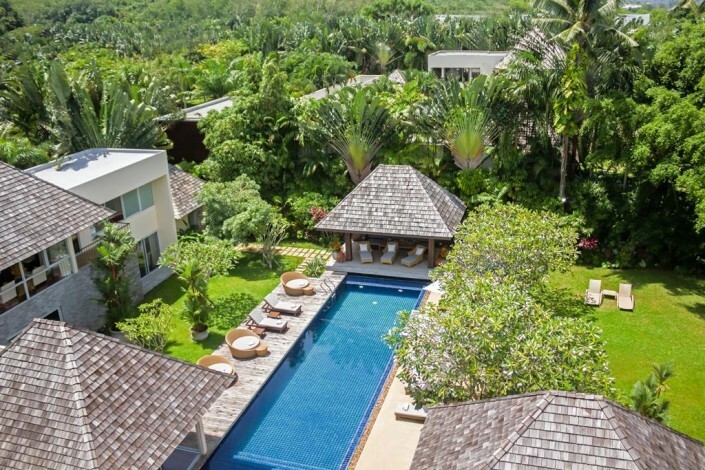 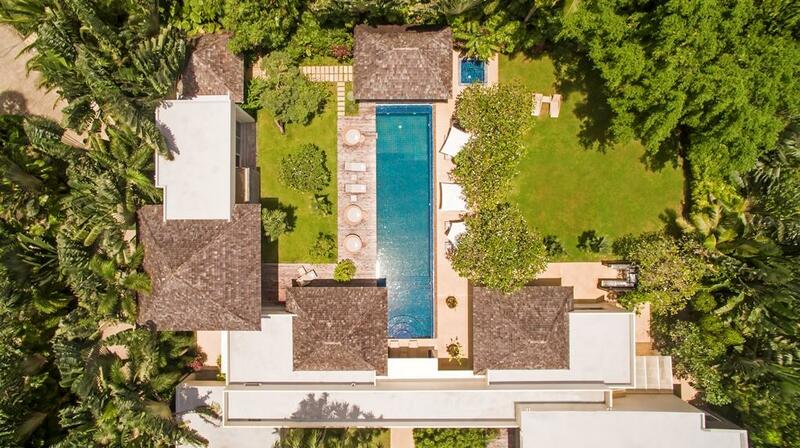 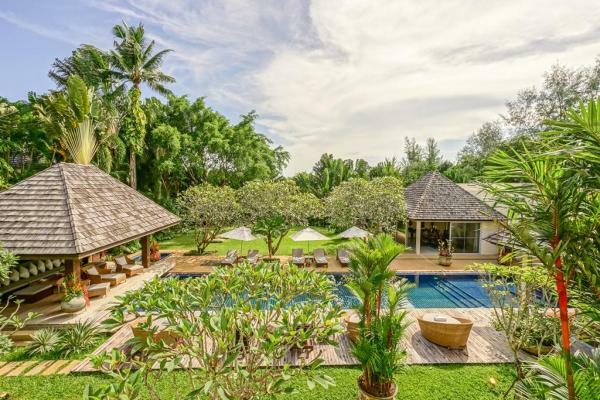 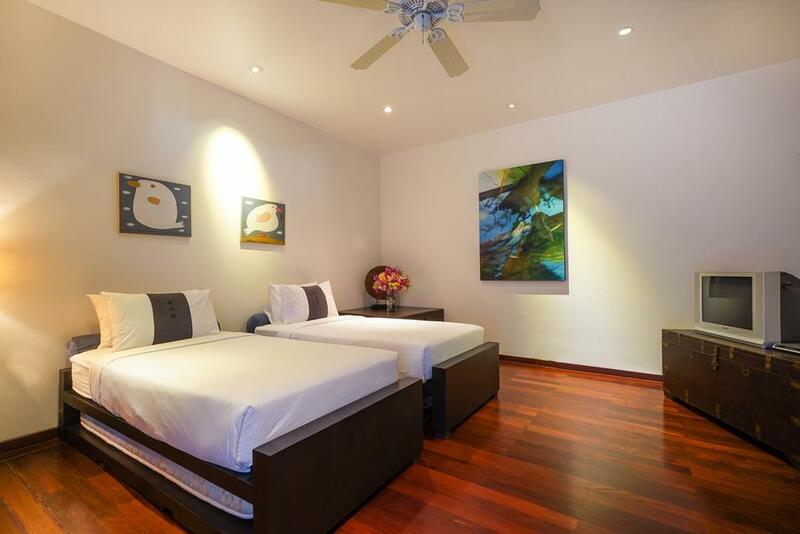 This Phuket property is the perfect place for celebrate and enjoy special events, but also for business meetings or spend peaceful time with family. 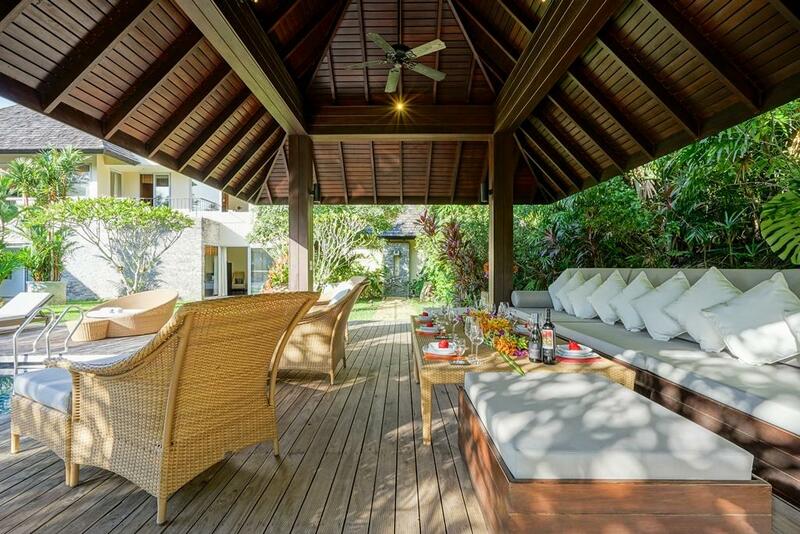 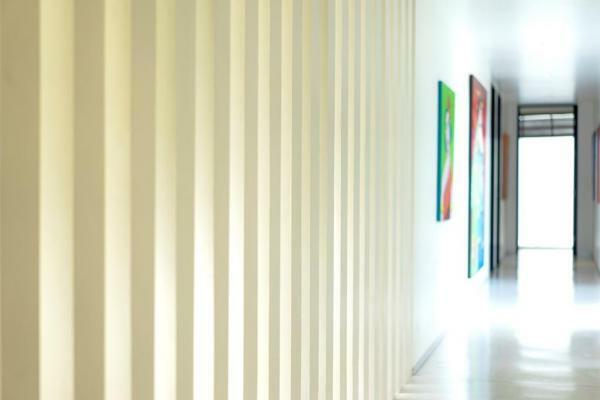 Located in a secluded luscious private area, the fantastic indoor and outdoor areas create the ultimate place to celebrate, to entertain, or to have a rest with family and friends. 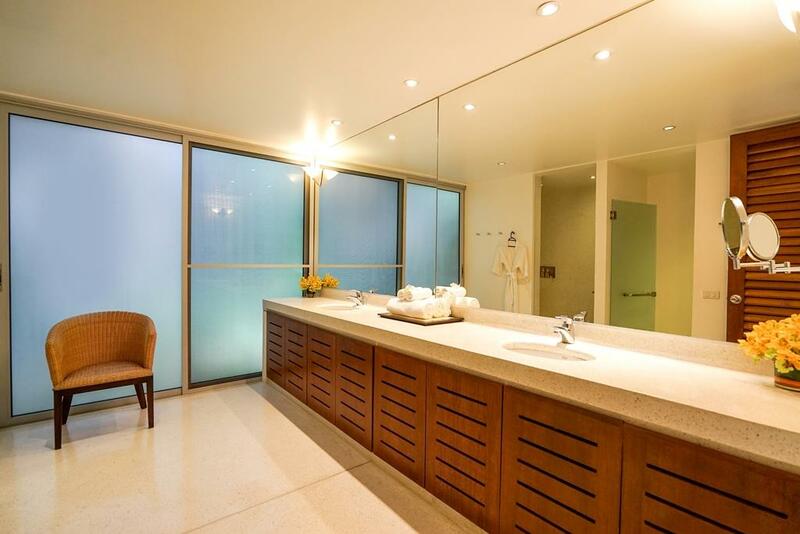 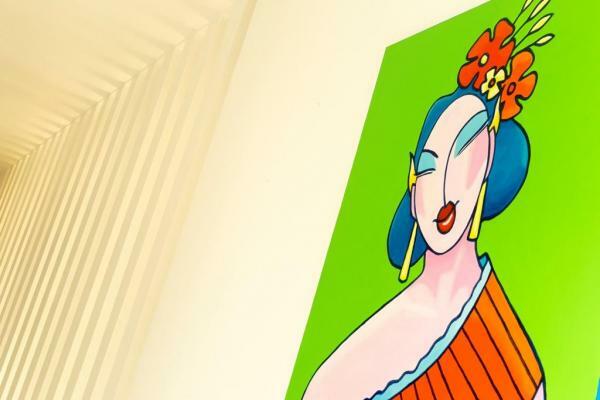 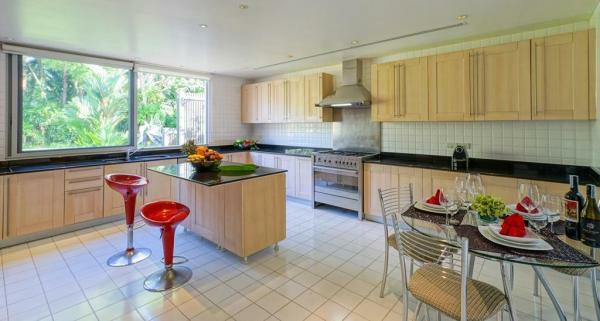 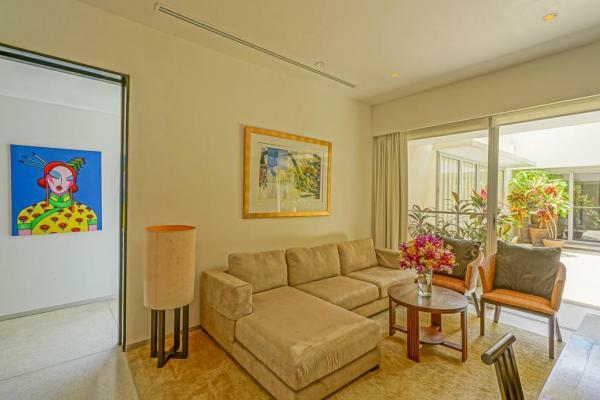 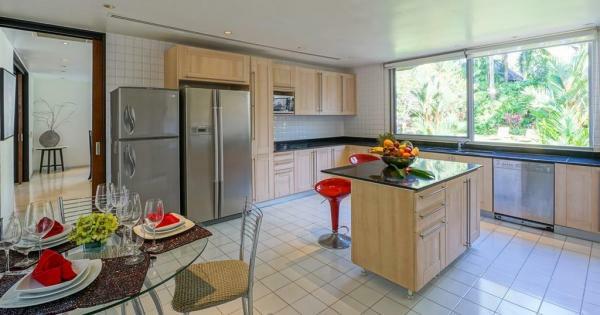 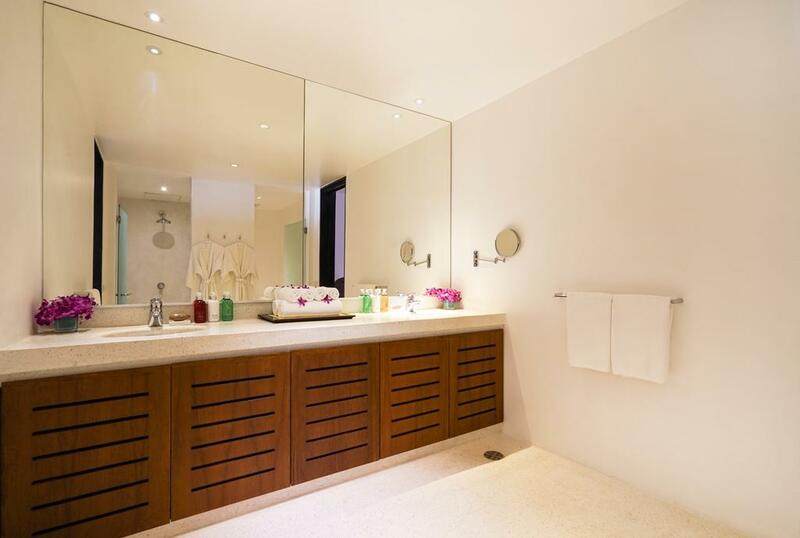 This 5 bedrooms property provides an idyllic and amazing accommodation. Land area : 1800 m2 - Living area : 550 m2 - Pool: 20 m.
All the services of a 5 stars hotel : Housekeeping, laundry, babysitting, In home Spa Treatment, car and driver for hire (on request), full time Chef, 24 h security, event planner (on request), BBQ, sala, swimming pool, children area, extensive sunbathing area, Wi-Fi internet access everywhere, TV, Sound System (Bose), Home cinema room with plasma screen, Yoga room, garden, library, parking for 2 cars. 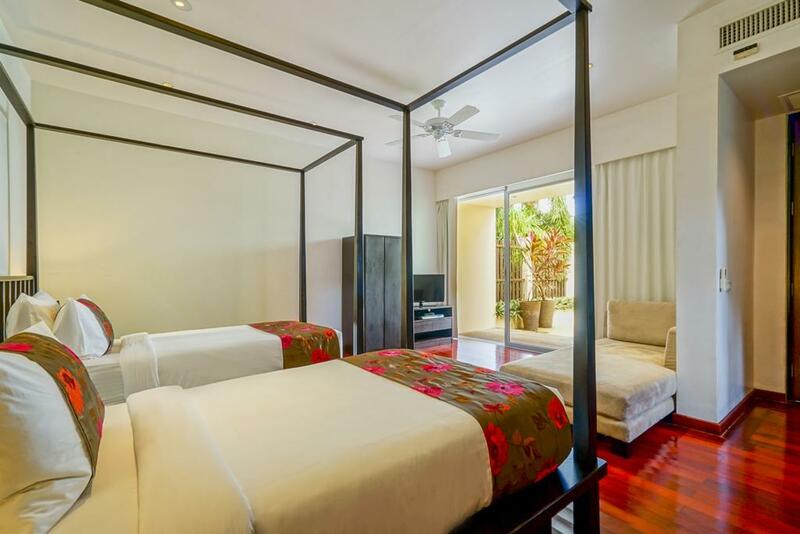 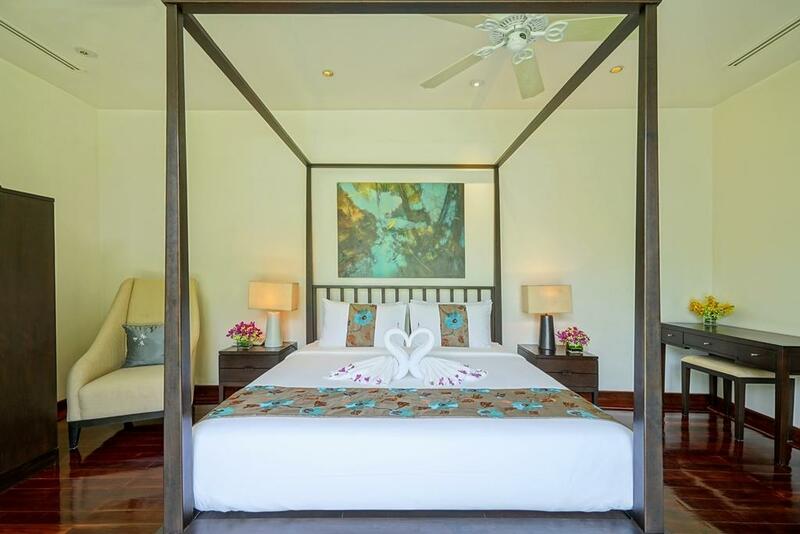 Rental Rates per night : 2495 USD to 5950 USD for the full villa >>>> depending on the season and the number of bedrooms required.